A couple of years ago, I heard Diane Rehm from NPR interviewing Dr. Betty Edwards. 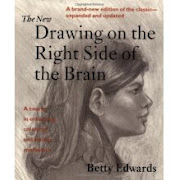 Dr. Edwards is the author of a book titled Drawing on theRight Side of the Brain. 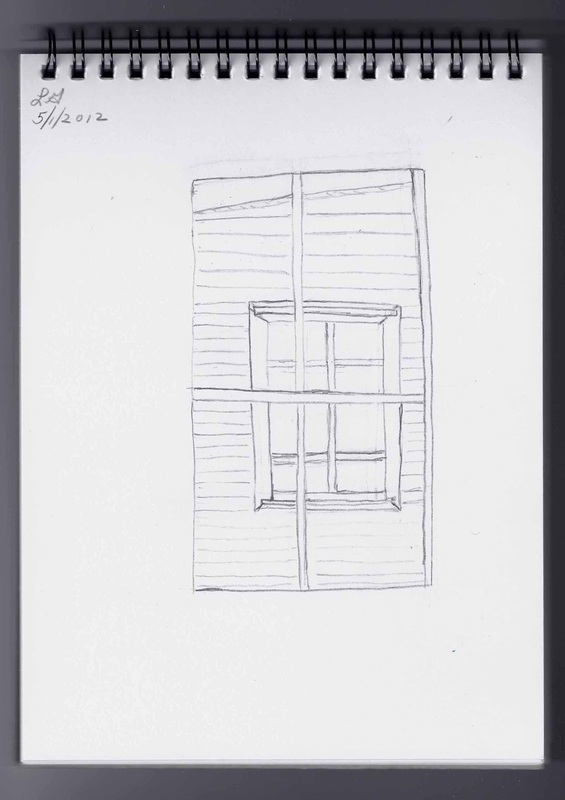 During the interview Dr. Edwards made the claim that by using her revolutionary method, anyone can learn to draw. I always wished I had the talent to be able to draw, so I purchased the book. Dr. Edwards' theory is that any individual can be taught to draw by learning how to tap into the Right brain, which is the visual perceptual mode of the brain. As she points out in the book: "Learning to draw is more than learning the skill itself; by studying this book you will learn how to see. That is, you will learn how to process visual information in the special way used by artists." 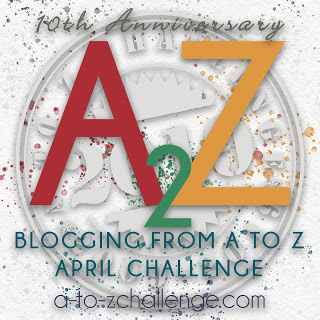 When I first bought the book, I eagerly jumped right in, but quickly got frustrated. I guess I just didn't have the patience required to try, try and try again. And so I gave up. During the past year or so, I have become interested in picture taking. I use the phrase picture taking and not photography because I really know nothing about photography, such as lighting, aperture, shutter speeds, etc. My camera is smart enough so that all I have to do is point and click. What I do know is that I like to capture interesting sights and moments with my camera. I have gained an appreciation of things around me which I did not have before. Now I want to go even further. I want to be able to draw what I see. So I picked up my copy of Drawing on the Right Side of the Brain off of my book shelf and I am going to give it another try. 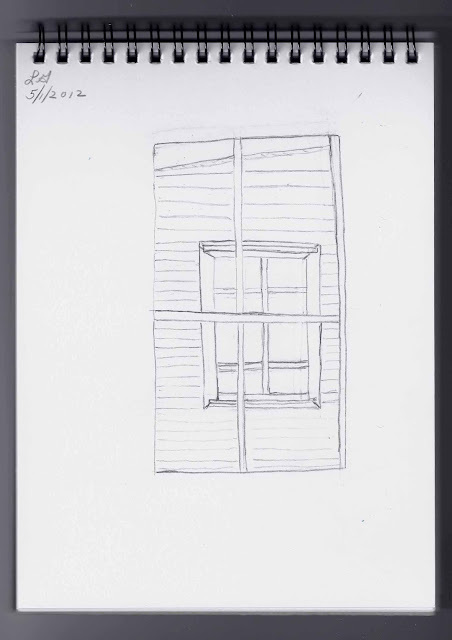 One of the first exercises in the book is a self portrait. The author instructed me to sit in front of a mirror and draw my face. After the drawing was done, I was to sign and date it. Which I did. After I finished the task, my drawing didn't look anything like me. However, according to the author, by the end of the book, I should be able to see an improvement in the next self portrait that I do. The next exercise was to draw this picture by holding it upside down. As instructed, I started in one corner and basically drew individual lines. At no time during the drawing was I supposed to turn the picture right side up. I was able to stick with it until I got to the head, by then there was a tug of war going on between my L-brain and R-brain. My R-brain waved the white flag and my L-brain declared Victory. I had to turn the picture right side up. 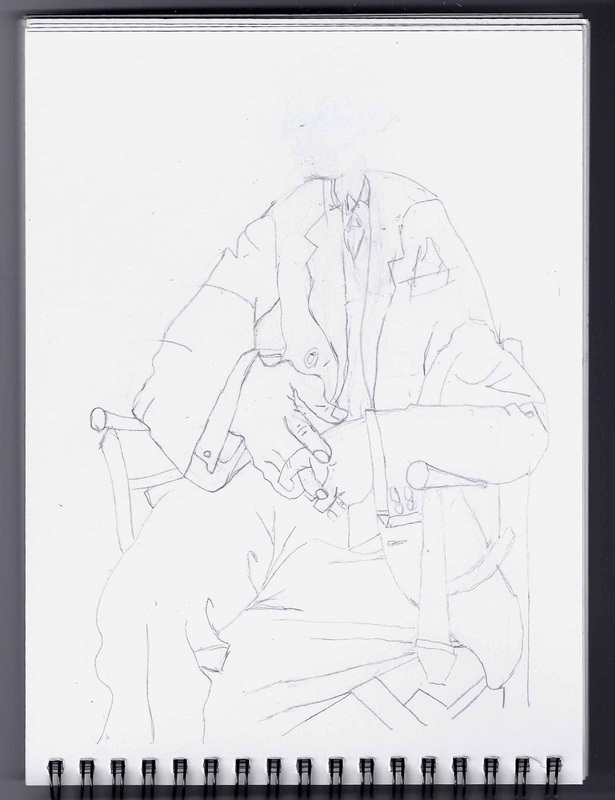 I was quite surprised to see that my headless figure actually came pretty close to the original drawing. So far I have already learned that, "In drawing, an edge is where two things come together." The author also points out that, "In drawing a line (a contour line or, more simply, a contour) is always the border of two thing simultaneously-that is a shared edge." Surprisingly, this made sense to me. My progress after chapter one. Interestingly enough, according to the author, "The majority of adults in the western world do not progress in art skills much beyond the level of development they reached at age nine or ten." Although I am a little skeptical, I am determined to at least improve my level of drawing skill beyond my current level which is that of a third grader. Went to N.Y. shopping with E. so she could rest her mind. She bought a very lovely black silk coat for spring and bought two dresses. Your post brought back so many wonderful memories from art school!! Loved it! Ohhh, I love that book! I only got through the first few activities myself way back when, but I still have my sketch book and I'm trying to figure out what goals I want for this month. Maybe, just maybe, I'll join you in the Betty Edwards process! Thanks for sharing that book. I will look into it, as I can't draw and it looks like it is a good one. Love your sketch after day one! Thanks. I do recommend the book. Join in, it might be fun to compare notes and drawings. Thanks. The only memories I have of art in school is grade school. 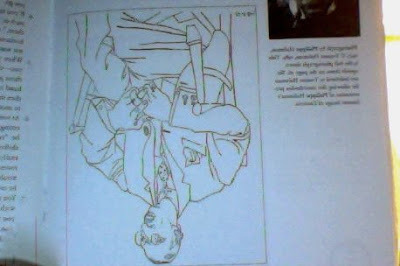 Obviously the way Dr. Edwards is teaching drawing in this book comes very naturally to some. YES! I have that book and have worked some but not all of it. I have taken drawing classes and find them very difficult but it is still my goal to take more. For me, drawing is so much harder than it looks. It is hard. I'm finding that out. But it is such an all encompassing challenge that I get lost in it. That works for me. When I worked at a bookstore in the early '90s, this book was extremely popular and one we had to keep in stock. I poked around in it a bit, but was always too intimidated to try it. I'm glad you're enjoying it.